This blog is my personal one and in no way represents the opinions of my employer. 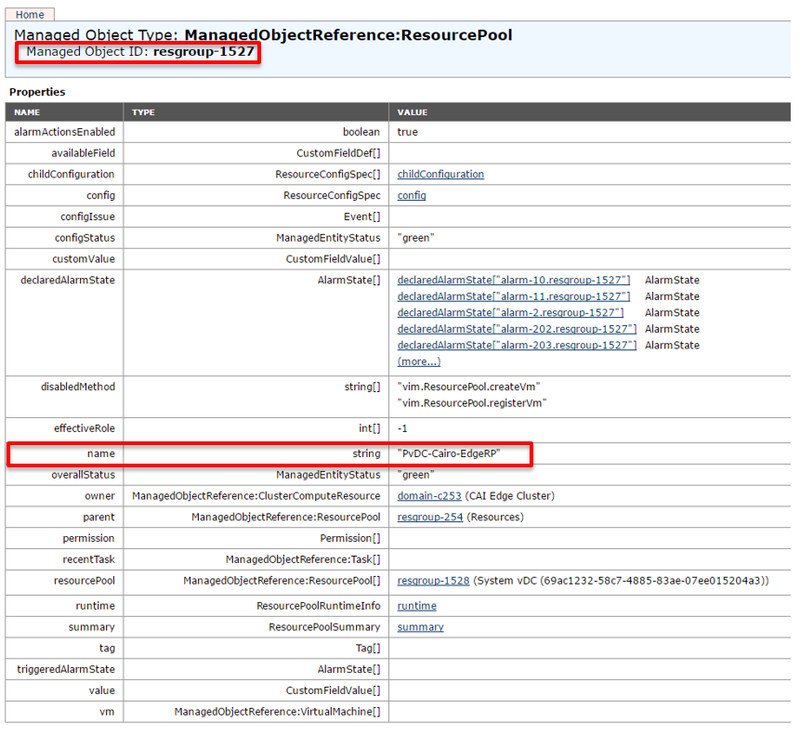 This post will highlight a long awaited feature, which is now available in vCloud Director 9.0. 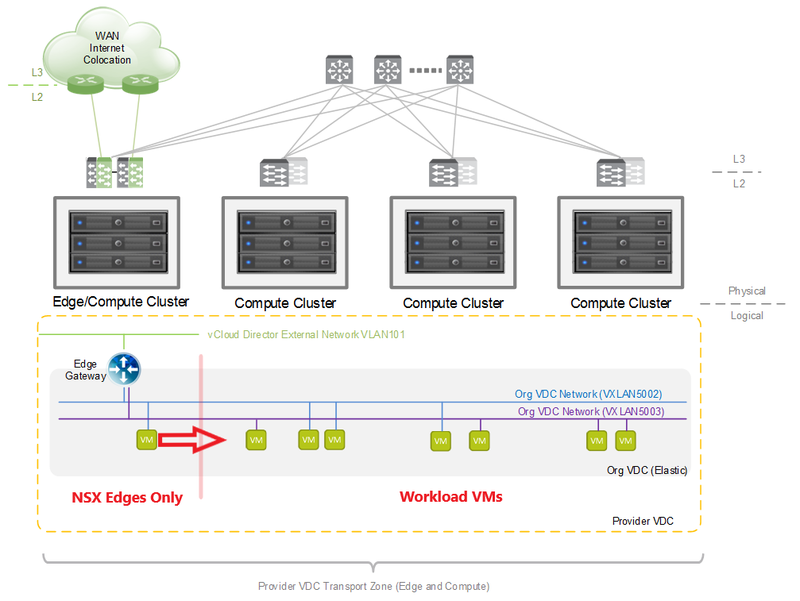 We will depict how to enforce the placement of the NSX Edge Gateways in a resource pool, which ultimately leverages a specific vSphere Cluster. This should mitigate all the previous drawbacks & overhead when using this setup in a leaf & spine scenario. The below diagram shows the updated behavior when leveraging the feature. So the good news, is that with vCloud Director 9.0 we can now achieve the same recommended design, let’s see how this can be implemented. Taking a step back and mapping what we just explained to vCloud Director leveraging NSX, this is what it would look like. The setup still requires some preparation but can be pretty flexible as shown in the above diagram. It relies on vCloud Metadata key/values that will trigger and enable a specific placement algorithm engine once configured. in vCloud Director Edit the Provider vDC as a System Administrator and add the following metadata as a key/value pair with the MoRef ID of the resource pool matching the PvDC you are editing. Redeploy the Edge Gateways to force the new placement logic. How to fetch the resource pool id ? There are various ways to fetch those IDs, here are the most common ones you might be familiar with. This is probably the easiest way for most people to gather the information. $cluster = Get-Cluster -Name "CAI Edge Cluster"
$respool = $cluster | Get-ResourcePool -Name "PvDC-Cairo-EdgeRP"
This requires a bit of habit leveraing the MOB, but with a bit of tinkering, through the vSphere Object models you should find your clusters and the required information. Thanks to Tomas Fojta who found the most relevant API request to fetch both the resource pool name & ID so we can easily identify the appropriate resource pool. 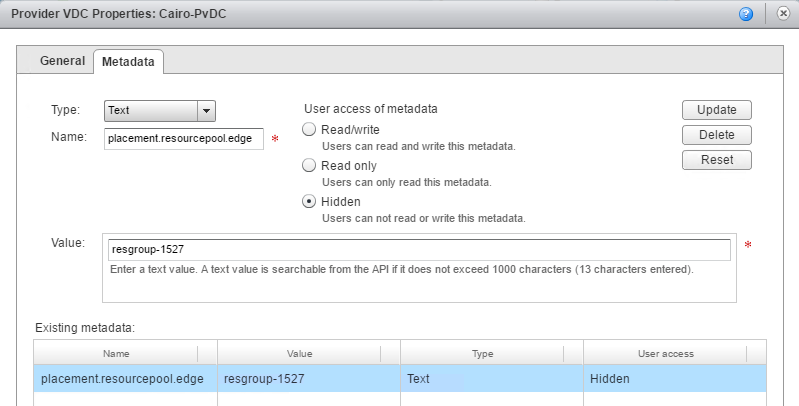 Once the Provider VDC Metadata has been configured with the added metadata, head back to vCloud Director, and test that this new feature works as expected by redeploying an Edge Gateway. You should witness something similar to the following animated process. You could easily automate the whole process, from setting the required metadata to the edges redeployment, leveraging both the vSphere & vCloud API. This post will depict the installation & configuration process for the Service Provider components. This post will depict the various requirements a Service Provider will have to fulfill to provide CSE for their end users so they can deploy & manage Kubernetes clusters. This post will depict the general architecture of CSE and how it achieves its purpose. This is the first post of a series that will highlight a new extension for vCloud Director that offers the ability for tenants to manage Kubernetes clusters.